Eliud Kipchoge is to return to Olympic Games action this summer as he spearheads Kenya’s marathon team in Rio. The two-time Virgin Money London Marathon winner, who has previously claimed Olympic 5000m silver in 2008 and bronze in 2004 as well as the world title over the distance in 2003, is among six athletes set to represent Kenya over 26.2 miles in Brazil. With a marathon record of six wins from seven races in his career so far and a PB and course record of 2:03:05 run in London last month, the 31-year-old will be one of the strong favourites to take the marathon title, which would be Kenya’s second gold in the event at the Games after the late Sammy Wanjiru’s 2008 title. 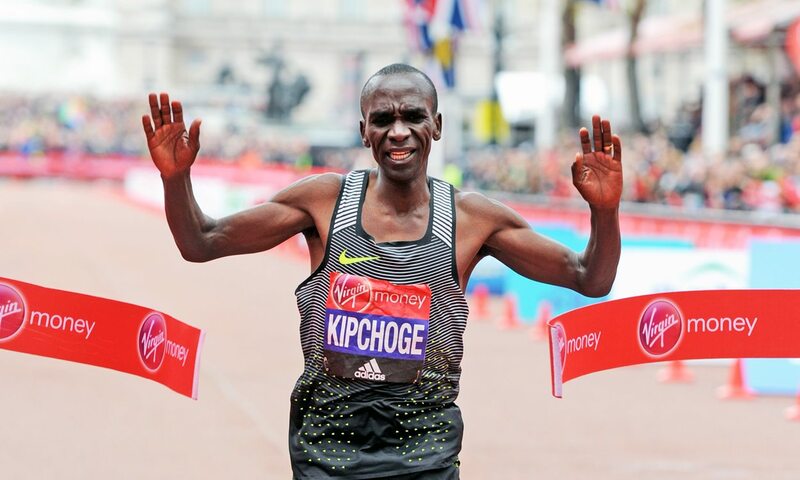 Joining Kipchoge in the men’s marathon team will be 2015 New York City Marathon winner Stanley Biwott and 2012 Boston Marathon champion Wesley Korir, while this year’s Paris Marathon champion Cyprian Kotut and two-time Amsterdam Marathon winner Bernard Kipyego have been named as reserves. The announced women’s team includes world marathon silver medallist Helah Kiprop, London Marathon winner Jemima Sumgong and Paris Marathon champion Visiline Jepkesho, while London 2012 fourth-placer and two-time London Marathon winner Mary Keitany and half-marathon world record-holder Florence Kiplagat are listed as reserves. Uganda’s Stephen Kiprotich and Ethiopia’s Tiki Gelana won marathon gold medals in London four years ago, while Kenya’s Abel Kirui and Wilson Kipsang claimed silver and bronze medals respectively and Priscah Jeptoo gained silver in the women’s race.